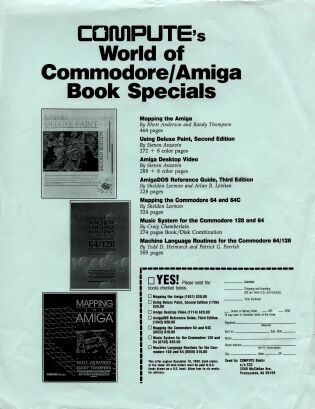 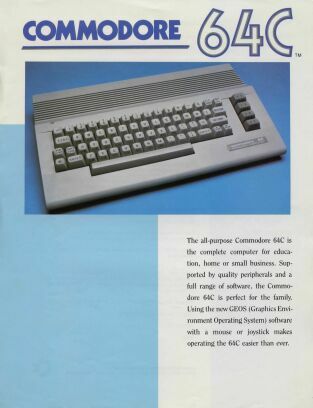 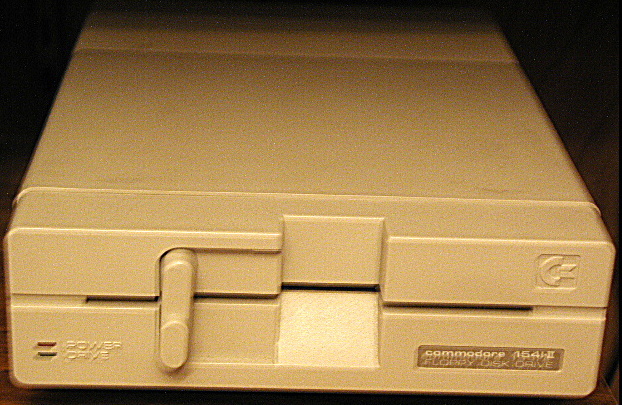 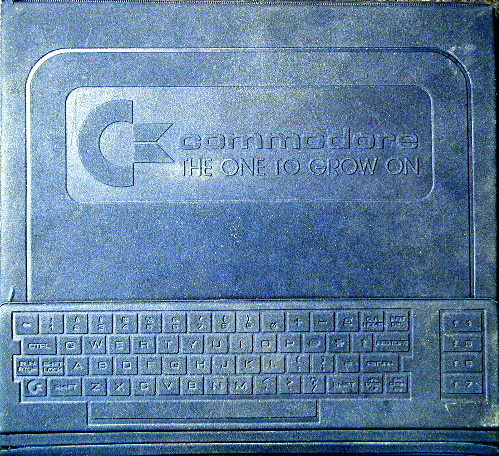 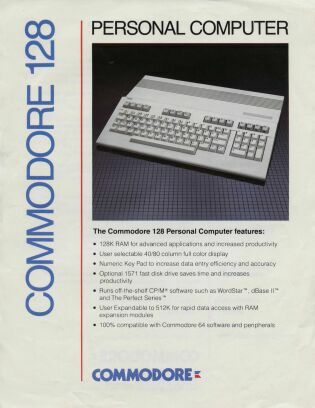 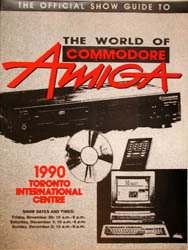 The Commodore 64 made the 2001 Guiness Book of World Records as the longest running single computer system, lasting over 10 years and selling over 30 million units. 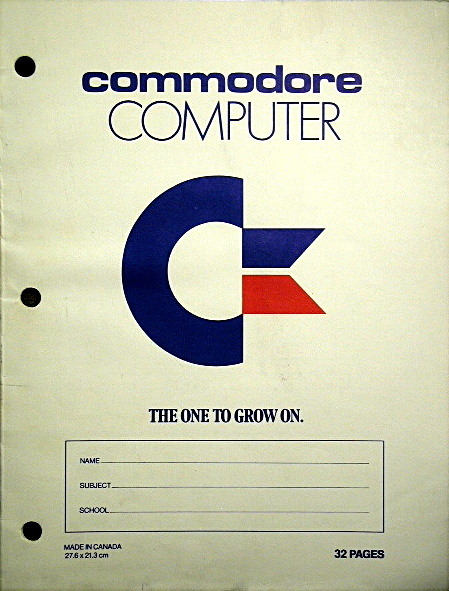 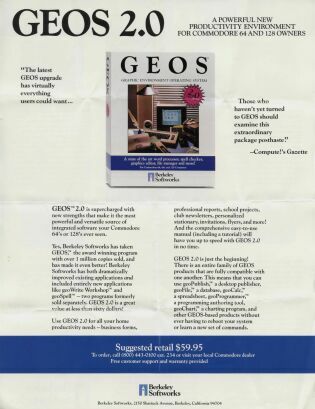 Many of the best games ever made (and found throughout these pages) were made for this little beauty. 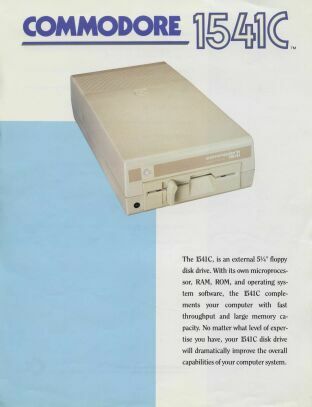 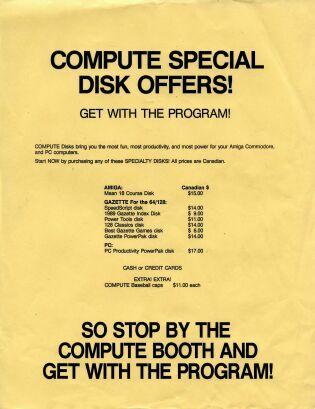 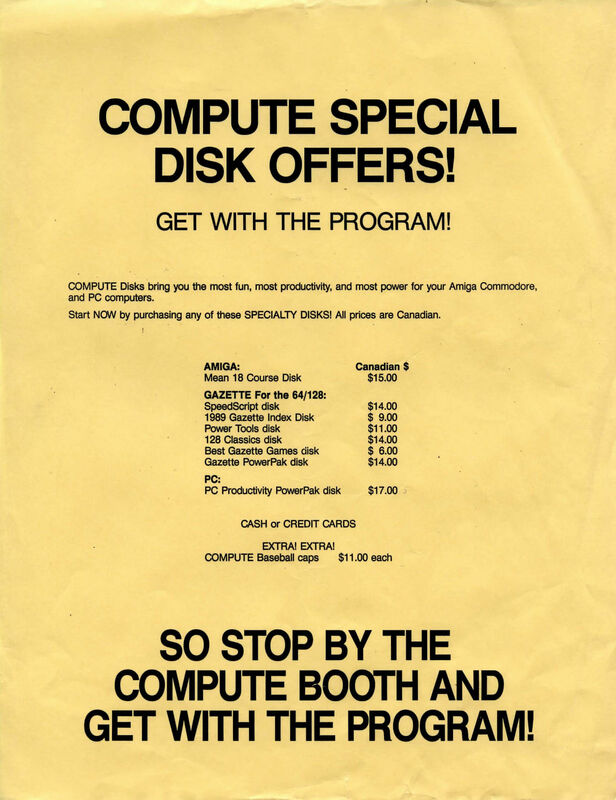 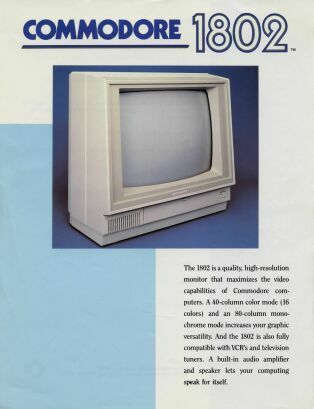 While the incredibly slow disk drive always annoyed me, it was otherwise a great machine, with excellent graphics using only 8K of video RAM and very good sound using the still popular SID chip. 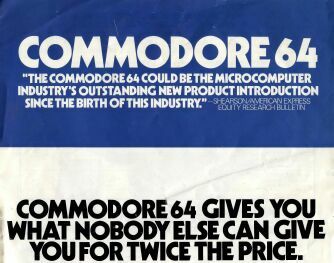 Some of the best game music of the period came from the '64. 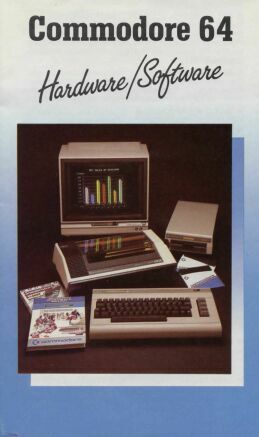 Also shown are some early ads and brochures for the machine and its cousins from the early eighties.